Vision board parties have become the thing to do when the new year is coming around and you’re ready to redefine your future. In my opinion, vision boards are the best way to leave an old, crusty year behind and walk into your new year brand new, rejuvenated and ready to make your past accomplishments look like blips on the radar. That begs the question, is it possible to take an in-person experience like a vision board party and bring it online? The answer is a definite YES! I've hosted a few virtual vision board parties and the majority of the process is the same. The biggest difference would be getting the attendees to feel "in the moment" enough to share their stories and get to know each other. Here’s how to do a virtual vision board party your attendees will love. For hosting the virtual vision board party, I use Crowdcast. Crowdcast is perfect for vision board parties because this service allows up to 4 people to come onto the screen at the same time so your attendees can really get to know each other! In my events, I’ve had attendees jump on to the screen live to share their answers to questions I’ve asked the group. Crowdcast will also accept ticketed events and even process the payments for you to making selling tickets to your virtual event super easy! I will typically charge a fee for virtual parties. Since you're not offering anything like food/drinks/magazines, you cannot charge as much as you would for an in-person event. Based on your experience (and what you plan to offer) anywhere from $9-29 is fair game. Your agenda will look similar to an in-person event. · Welcome: This is where you welcome guests and possibly share a tiny bit about you. You can ask guests questions and tell them what they have access to with the software you’re using. With Crowdcast, you’re able to invite guests live to share their story, they have a chat window and polls that they could use to engage. You’ll want to share all of these options with them at the beginning of the evening. · Icebreaker: These are simple “getting to know you” activities. I’ve discussed vision board party ice breakers in detail here. · Activity: Vision board parties are meant to get people thinking about what matters most in their lives and set goals. Walk through one or two activities to help your attendees think ask the important questions about what they really want out of their lives. · Tutorial: Every vision board party needs a tiny vision board tutorial. Here is where you tell attendees how to create a vision board that works. 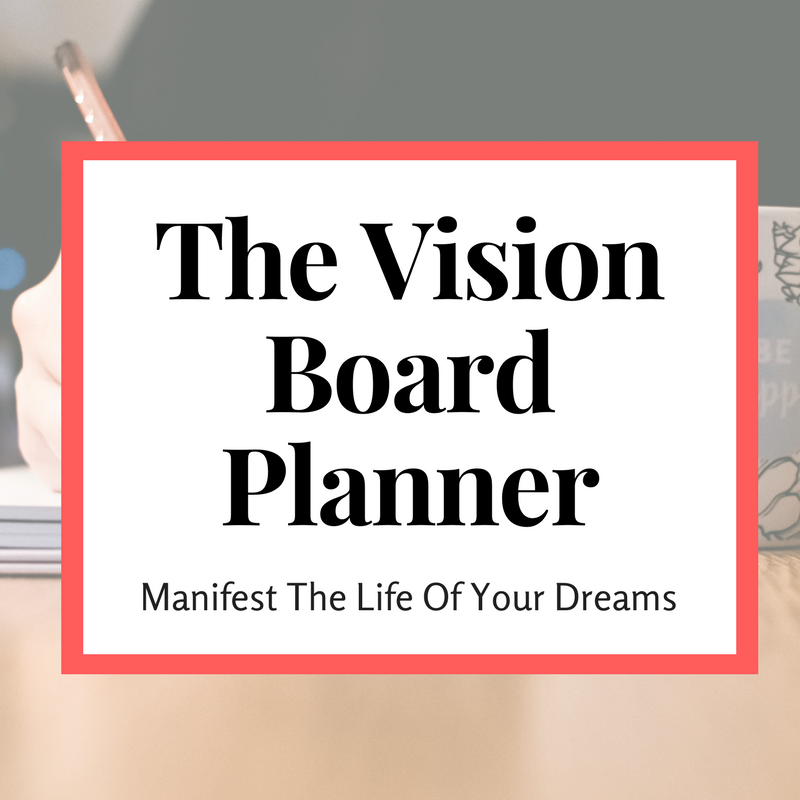 Creating effective vision boards typically consists of three phases: deciding on what big goal you want to work towards, thinking about how you’ll enjoy your life while in pursuit of that goal, and putting those ideas onto paper. Find out a fun way for you to share that with your audience. The party can be shorter, 1-2 hours. This depends on the time of day, whether the group becomes active and the conversation. I usually let the conversation flow and have gone up to 2.5 hours if things are going really well. In person, you can control the room, the ambiance and what's going on in the background. You cannot do any of these things in a virtual party. For example, in one virtual party a woman's kids ran up to her to say goodnight. To keep the party fun, I chatted about her kids and wrapped parenting goals into the conversation. When you're doing a virtual party - you have to be super flexible and ready for surprises. Have activities for people to do and ask questions - wait for them to answer. People will be typing in response to what you’re saying in the event. Some people type slower than others. When you ask questions make sure you wait for people to type and respond to your questions before moving on to the next topic. The biggest benefit of a vision board party is taking that moment to yourself to stop worrying about what’s going on at home, work, hubby, the kids and focus on yourself for a moment. In it’s essence, it’s self care. Moving vision board parties to online puts the self care benefit at serious risk. This is the biggest thing when you're doing a virtual party - you have to be super flexible and ready for surprises. If you’re thinking about hosting a virtual vision board party this year, give it a shot! This can be a great way to meet people online that you would never be able to interact with in person and add a more interactive form of communication with your audience. How many times have you been super excited to seize the day only to get half way through your to-do list? The daily to-do list may seem like a simple concept. How in the world do you eat healthy, work out, work for 8-ish hours, spend time with family, take time for self care, build your relationships AND get a full night't sleep at the end of the day? The incredibly insightful book 168 Hours: You have More Time Than You Think breaks down exactly why we all should stop planning by the day and focus on spreading all of the things you want to do throughout your week. Your week is filled with unlimited opportunities to do everything that you want. However, most people create never-ending daily to-do lists that can often leave us feeling exhausted and unaccomplished by the end of the day. I'm going to walk you through exactly how I plan out my daily to do list one full week at a time. This simple change allows me to get everything done over the course of a week without feeling overworked or overwhelmed. Plan hard due dates first. Some of your to-do list items have a due date that you cannot change. This is where planning your to-do list for you whole week at once really comes in handy because you're looking at a birds eye view of your week and can see further into the future beyond the needs of today and tomorrow. There are certain thins you have to do to survive, keep your relationships strong and maintain your health. These are things you know you'll be doing every single week without fail. So it makes sense to block that time off next. Here are some examples of essentials. Decide on what works for your lifestyle. As you think about the time you have for these, remember you're thinking about your entire week. It's totally OK if you don't have time during the day to go to the gym 3 days a week. Push it to the weekend. Trust me, it still counts. Let's be real... We all have to eat. While you may not really think about it (because it's really a basic need) food can easily take up 10 hours of your week! There's thinking about what you want to eat, going to the store to buy groceries, prepping all of the food, cooking and finally eating your meal. Build that time into your week... and find ways to optimize it. For example, I try to make a big meal on Mondays and Wednesdays and eat the leftovers on Tuesdays and Thursdays. This gives me more time to spend with my family or get a yoga session in after work on those days. Do you see where I'm going with this? If you plan your week all at once, you can see where those pockets of time exists. You can now be intentional where you would've previously spent that extra time wondering what you're going to eat tonight, praying that you have the ingredients you need for that miscellaneous recipe you just found on Pinterest or scrolling Facebook. Here's where things start to get a little tricky. Some weeks, you'll have random appointments that throw a wrench into your weekly routine. It could range from a doctors appointment, parent-teacher conference, networking happy hour mixer or your BFF's Dirty Thirty Birthday Bash. Put all of your appointments on your to-do list on the day they fall on. Then move your existing to-do items to around to accommodate these experiences. For example, if you have a parent teacher conference Thursday night, you may want to plan to meal prep Wednesday night. Set aside daily hustle time. I don't know anyone that doesn't have their own side hustle these days. I'm using side hustle liberally. You could be running a blog, taking additional courses to boost your skills, building a business or training for a marathon. All of these things take time to build if you want to make a meaningful difference. Make sure you block off time to work on them. I choose to wake up early on a daily basis before work (from about 5-7AM) to work on this lovely blog you're reading right now. I also block off about 6 hours every Sunday to work strictly on creating products for the blog. Don't skip your daily me-time Activity. When you fail to plan (or plan poorly) the first thing that suffers is the time spent taking care of yourself. Your week can quickly get stolen from you. When you're early in your career, networking events and working late can steal your weekday evenings. If you have a family, your kid's after school activities can usurp your afternoons. You can still maintain your productivity and accomplish everything you want by shifting things to the weekends. You can grocery shop and meal prep on Sundays. You can host a potluck to spend time with friends and family on Saturday nights. You can side hustle, take a class or serve your community on Sunday mornings. One mistake people make is cramming a lot of things into their schedule assuming they're going to work super hard, drink red bull and skip sleep to accomplish their goals. This rarely works because you're betting on a Sunday that your Tuesday self is going to have enough will power to stay up late. This can be a hit or miss depending on whatever else happened that day. Have you ever gotten mad at yourself for falling asleep when you had things to do? This is totally irrational, but we've all done it. Give yourself a three item maximum on your to-do list for any given day. By doing this, you will make sure that you only put the most important and urgent things on your list. (If you're super gangster like me, you only put one thing on your to-do list each day.) This also gives you a fighting chance at finally crossing everything off your to-do list which will leave you feeling accomplished each day and ready to attack the next. By planning out your days like this, you have unlimited time and flexibility to move things around like puzzle pieces until they fit perfectly into place. At the end of the week, you'll realize that by putting less on your plate on a daily basis, you will have accomplished more, gotten more sleep, spent more time with friends and family AND took care of yourself more. The time exists everywhere... it's your job to use it.